No matter what tribulations a medieval infantryman faces, he must carry on. With its wide brim, the Owen Steel Kettle Helmet helps shield its wearer from the blinding sun, pouring rain, and any downwards blow or strike from above. 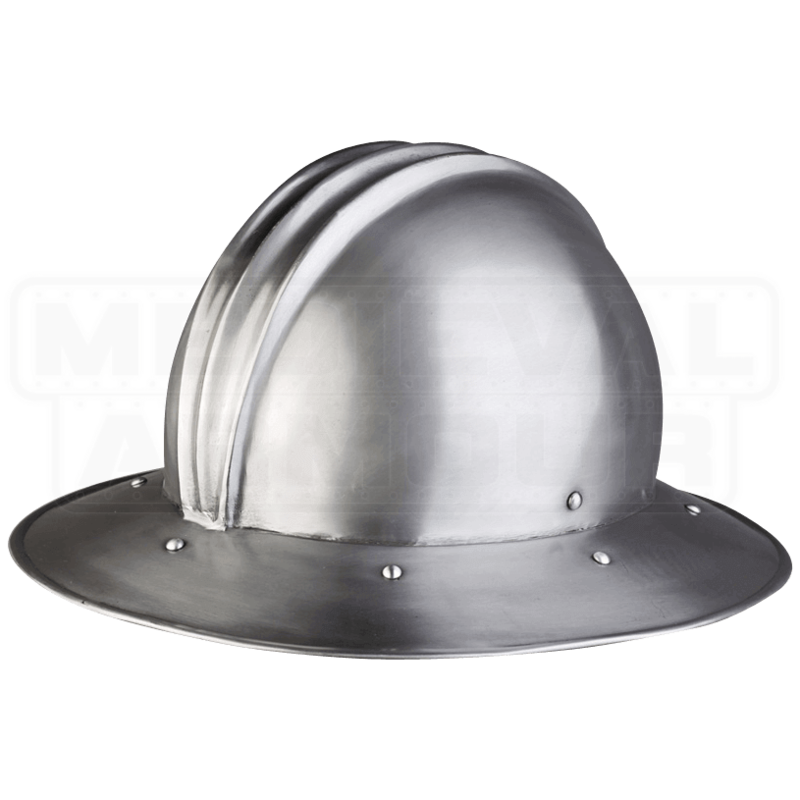 This handcrafted steel helmet features a rounded skull attached to its wide metal brim. Three ridges along the center of the skull strengthen its protective structure as well as lend a touch of style. Cotton covered foam lines the inside of this helmet. 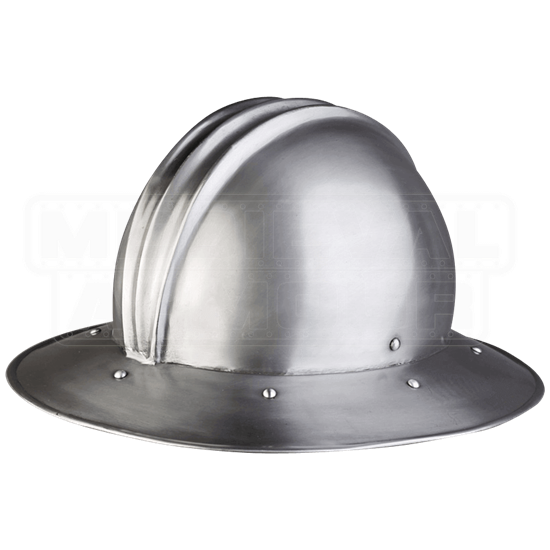 For best comfort and safety, we recommend wearing this steel helmet over a padded arming cap. Top off your medieval or Renaissance soldier look with this historically inspired kettle hat, great for LARP use. Fasten the Owen Steel Kettle Helmet about yourself using its adjustable chin strap, and you will be ready to march onwards to battle.